It's time to make some plans with your friends. A party, an excursion, a team competition...everything will be good for you! During this month of April it may also be about new projects starting to arise. You will know for sure around full moon. 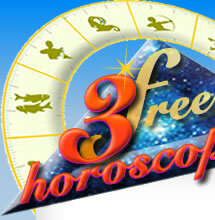 Since the lunation of 5 is in harmony with your sun, you will get to climb the social ladder. You need to impose your opinions! You may make new friends during this period. But you have to go out in order to reach your goals. You can also give media coverage to your activities at work in order to increase your audience (advertisement, web campaign, etc.). You may have financial high expectations thanks to Venus. You will show you are talented. Take care of the way you look and don't be afraid to show what you can do! Mercury is in your tenth solar house and you will get to move on to the next step in what you were working on. The sky's the limit! Things will be slow at work and you should relax. If you don't...that means you are already relaxed. With Neptune is dissonance you will make a lot of mistakes that's why you need to be careful and to keep your feet on the ground. 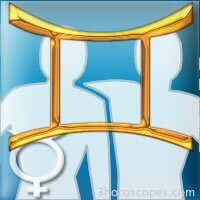 You may have misunderstandings when it comes to communicating with your family and friends, especially during the week of 7 when Mercury is in dissonance. Make sure you stay receptive to your family and your co-workers. Good aspects of the Sun show that during the week of 7, you are very healthy and confident! Make sure you show your skills and your creativity. There's a transit of Mars across your decan in the week of 21. You keep trying to give your best at work but make sure you don't do too much because you might end up stressed out!